Tarte Tatin is an upside-down apple tart in which the apples are caramelized in butter and sugar before the tart is baked. 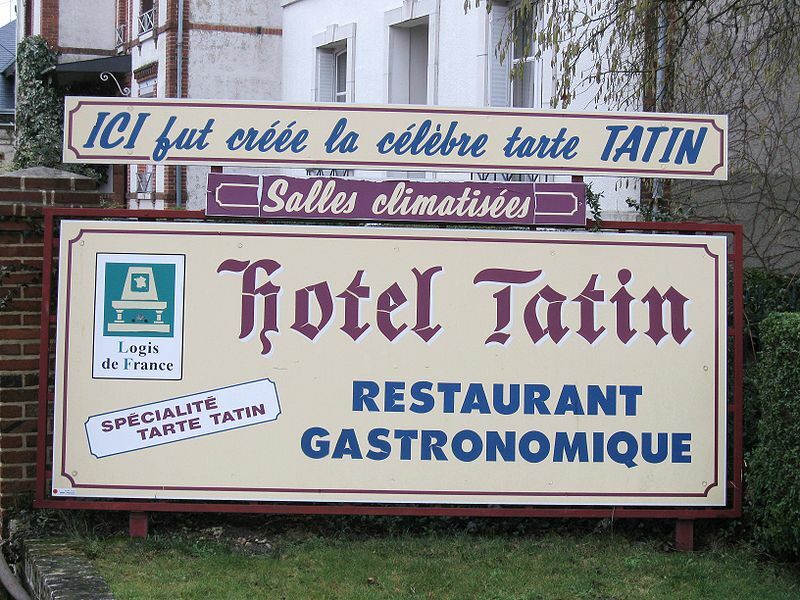 Tradition says that the Tarte Tatin was first created by accident at the Hotel Tatin in Lamotte-Beuvron, France in 1898. The hotel was run by two sisters, Stéphanie and Caroline Tatin. There are conflicting stories concerning the tart's origin, but the predominant one is that Stéphanie Tatin, who did most of the cooking, was overworked one day. She started to make a traditional apple pie but left the apples cooking in butter and sugar for too long. Smelling the burning, she tried to rescue the dish by putting the pastry base on top of the pan of apples, quickly finishing the cooking by putting the whole pan in the oven. After turning out the upside down tart, she was surprised to find how much the hotel guests appreciated the dessert. The Tarte became a signature dish at the Hotel Tatin and the recipe spread through the Sologne region. Its lasting fame is probably due to the restaurateur Louis Vaudable, who tasted the tart on a visit to Sologne and made the dessert a permanent fixture on the menu at his restaurant Maxim's of Paris. Left: Billboard in front of the Hotel Tatin. Tarte Tatin has to be made with firm dessert apples: cooking apples will not do as they mulch down into a purée. In North America, Tarte Tatin is typically made with Golden Delicious apples, which are not the type used for American-style apple pie. 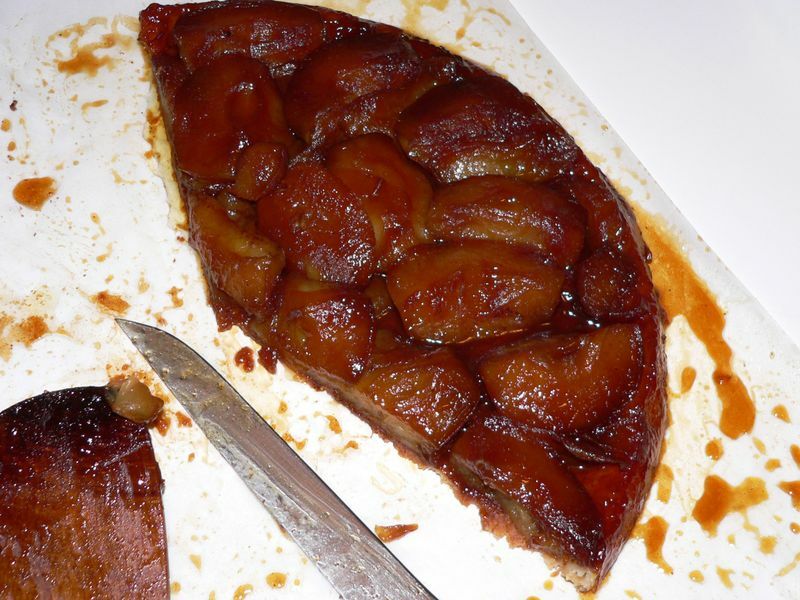 Tarte Tatin can also be made with pears, peaches, pineapple, tomatoes, other fruit, or vegetables, such as onion.